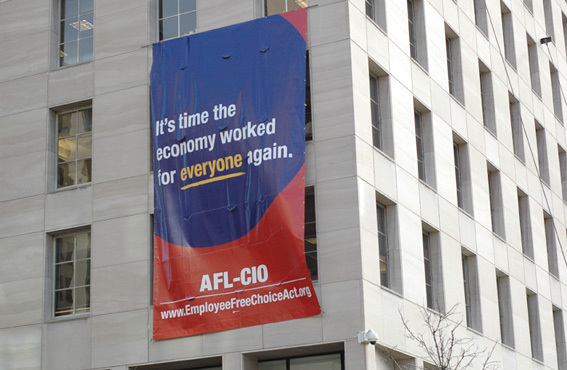 Jan. 14--The AFL-CIO is hoping for early action on the Employee Free Choice Act. The banner went up on Jan. 14, blew down at one point, and was later put back up. 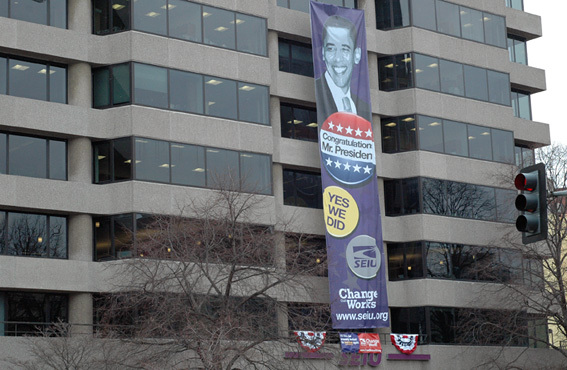 The AFL-CIO also put up a banner welcoming President-elect Obama's daughters Sasha and Malia. 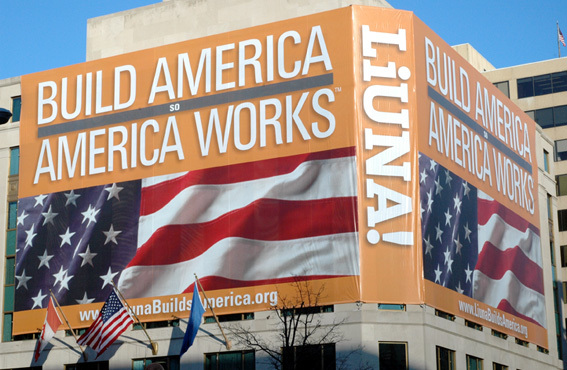 Jan. 15--A giant banner adorns the LIUNA building. 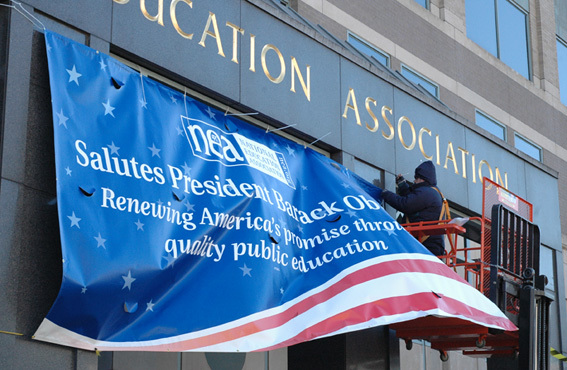 Jan. 16--Putting up a banner at the NEA. Jan. 19--AFGE "Good Government. We're Ready!" Jan. 19--IAFF, Iron Workers, IUPAT, and Sheet Metal Workers banner. 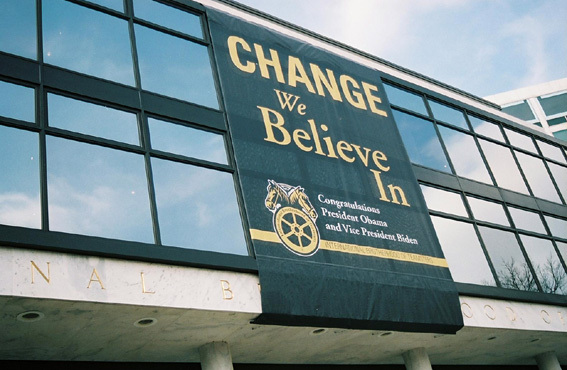 Jan. 19--Banner on the Teamsters headquarters. 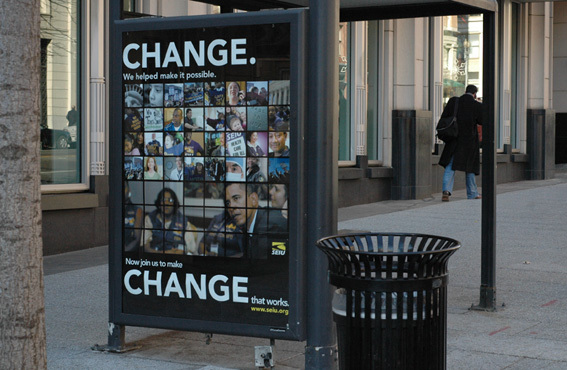 Jan. 21--A Service Employees International Union (SEIU) sign on a bus stop. 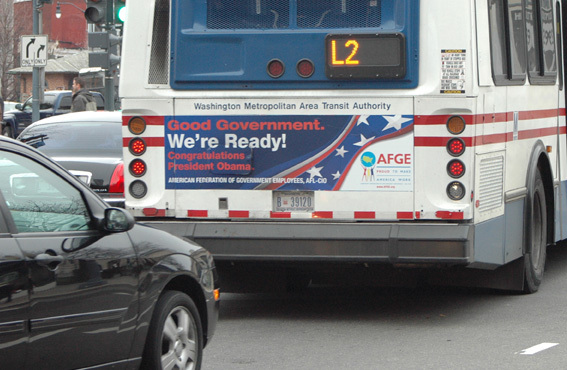 This sign was first observed on a bus stop on Connecticut Ave., N.W. on Jan. 8. 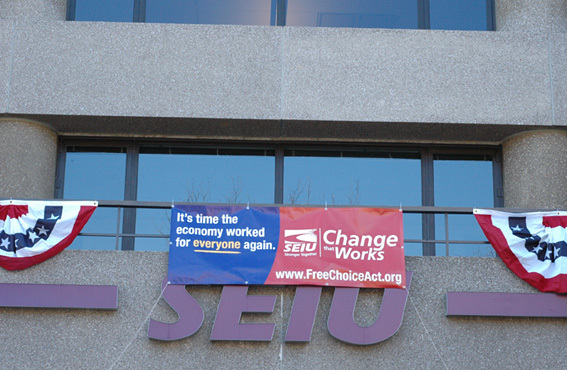 Jan. 16--A modest banner on the SEIU building. 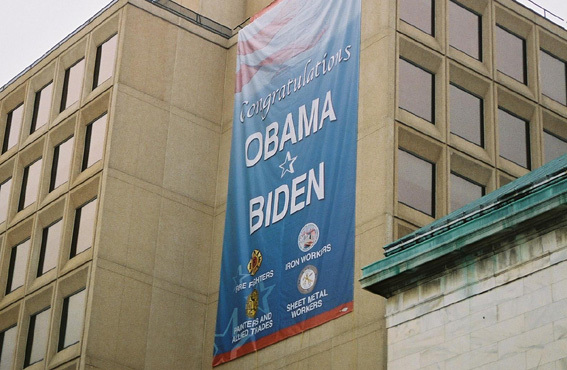 Later a five-story banner was put up.